Phase I trials aim to identify the recommended dose for further development. Health-related quality of life (HRQoL) could be a complement to the usual National Cancer Institute Common Terminology Criteria for Adverse Events (NCI-CTCAE) scale to detect adverse events and define the doses. The objective of this study is to review the phase I in oncology which used HRQoL as endpoint. A search in PubMed database identified phase I trials in oncology with HRQoL as endpoint, published between January 2012 to May 2016. Hematological and pediatric phase I were excluded. A total of 1333 phase I were identified and 15 trials were identified with HRQoL as endpoint (1.1%). The European Organisation for Treatment of Cancer Quality of Life Questionnaire C30 (EORTC QLQ-C30) was the most frequently used instrument: 5 studies (33.3%). The targeted dimensions of HRQoL and the minimal clinically important difference were prespecified in 1 study (6.7%) and 2 studies (13.3%), respectively. Twelve studies (80%) described the statistical approach to analyze HRQoL data. Eight studies used the mean change from baseline (60%) to analyse longitudinal HRQoL data, two the mean score at certain times (13.3%), one the linear mixed model for repeated measures (6.7%), one the time to HRQoL score deterioration (6.7%), one percentage of patient-reported symptoms (6.7%). None of the studies used HRQoL to determine the recommended doses. Few phase I studies used HRQoL as endpoint and among studies with HRQoL as endpoint, the methodology of HRQoL measurement and statistical analysis was heterogeneous. HRQoL. endpoint not used for assessing the recommended phase II doses. Phase I trials aim to identify the recommended dose for further development of novel drugs under investigation, or recommended phase II Dose (RP2D). This is a key point for the development of new therapeutic strategies the efficacy and toxicity observed in phase II trials and therefore the development of the agent depends on the accuracy of this dose. The classic paradigm that the optimal RP2D has to be the maximal tolerated dose (MTD) has been challenged within the last years, especially concerning molecularly targeted agent. Opinions diverge also on what type and grades of toxicities should be used to define dose-limiting toxicity (DLT) [1, 2]. The DLT is most of the time determined according to the National Cancer Institute Common Terminology Criteria for Adverse Events (NCI-CTCAE) targeting grades 3 and 4. Doses recommended based on current MTD definition could be higher than needed especially for molecularly targeted agents, carrying the risk of unnecessary toxicities . The duration of toxicity and/or the occurrence of late toxicity are not taken into account in the definition of DLT . Moderate toxicities experienced over a long period could impair patients’ HRQoL and are not taken into account in the usual definition of DLT based on the NCI-CTCAE assessed by clinicians . Moreover, the accuracy of physicians reporting of chemotherapy adverse events have proven weak sensitivity and specificity when compared to patients reported outcomes (PROs) . Therefore, the usual definition of DLT may not appropriately reflect the patient’s feelings regarding the tolerability of the received treatment. HRQoL and/or PROs could be a complement to the NCI-CTCAE scale to detect adverse events and define the doses. The objective of this study was to assess the current use of HRQoL as an endpoint (primary or secondary) in phase I oncologic trials. However, its use is most likely not widely spread, as primary or secondary endpoint. Eligible trials were phase I trials in oncology with HRQoL as endpoint (primary or secondary). Literature searches in PubMed database (January 2012 to May 2016) were performed. Literature search was performed from 2012 to be representative of the current use of HRQoL in phase I trials. We focused on studies in adults solid tumors. Therefore, haematological and pediatric phase I were excluded. The following strategies were used: (Neoplasms[MeSH Terms] OR neoplasm*[Title/Abstract] OR cancer*[Title/Abstract]) AND (“clinical trial, phase i”“[Publication Type]” OR (trial*[Title/Abstract] AND (phase I[Title/Abstract] OR phase 1[Title/Abstract] OR phase one [Title/Abstract]))). Two authors (F. F., A.O) independently extracted information using predefined data abstraction forms. All data were checked for internal consistency, and disagreements were resolved by discussion among the investigators. The following data were extracted: general items (number of patients, year of publication, study period, number of centers, nationality of the first author, academic, mixed or industrial trial), primary endpoint, design of the study, items related to HRQoL measurement, statistical analysis and reporting (rational for HRQoL assessment, methods of data collection, HRQoL questionnaire, evidence of HRQoL questionnaire validity, method/algorithm for scoring the questionnaire, planned schedule of questionnaires, definition of the minimal clinically important difference (MCID), methods used to analyse longitudinal HRQoL data, etc). We conducted a descriptive analysis of relevant publications. Quantitative variables were described by median and range. Qualitative variables were described by absolute frequencies (number) and relative frequencies (proportion). Analyses were conducted with the use of SAS software, version 9.3 (SAS Institute). The characteristics of the studies are described in Table 1. A total of 1333 phase I articles were identified and 15 trials were identified with HRQoL as endpoint (1.1%) (Fig. 1). Among these 15 trials, 14 (93.3%) were academic studies and 1 (6.7%) had a mixed financial support. Twelve studies (80%) enrolled patients with advanced cancers and 3 studies (20%) with localized cancers. 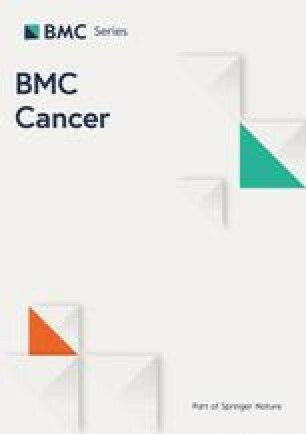 The trial concerned targeted therapy (2 trials, 13.3%), chemotherapy (2, 13.3%), immunotherapy (2, 13.3%), radiotherapy associated with a targeted therapy (2, 13.3%), radiotherapy (1, 6.7%), surgery (1, 6.7%), chemoembolization (1, 6.7%) or others (4, 26.6%). Regarding the design, 8 studies (53.3%) used a modified Fibonacci dose escalation based on a 3 + 3 scheme, 2 (13.3%) used a continual reassessment method and 5 (33.3%) other methods. MTD was the most frequent primary endpoint (60%). HRQoL was not used as primary endpoint in any trials (one ancillary study). Two trials (13.3%) provided no result for HRQoL. The EORTC Quality of Life Questionnaire C30 (QLQ-C30) was the most frequently used instrument (5 studies (33.3%)). The reference of the HRQoL instrument validation was provided in 6 studies (40%). The planned schedule of HRQoL assessment was reported in 10 trials (66.7%) (Table 2). No comparison between the different tested doses (data missing because of death or withdrawal. No comparison between the dose groups. No differences observed between the treatment doses. Not used in the discussion. The targeted dimensions of HRQoL were prespecified in one study (6.7%). Two studies (13.3%) determined the minimal clinically important difference (MCID). These two studies used the EORTC QLQ-C30 questionnaire, one used a 5-point difference and one 10-point difference in the HRQoL scores as the MCID. Three studies (20%) mentioned the population data set for HRQoL analysis and all of them used a modified intention-to-treat analysis. The number of HRQoL data at baseline and at subsequent time points, the HRQoL scores at baseline for each group and each dimension, the profile of missing data at baseline, the statistical approaches for dealing with missing data were adequately reported in 3 (20%), 2 (13.3%), 3 (20%) and 1 (6.7%) studies, respectively. The method for dealing with missing data was the pattern mixture method. No study provided the reasons why data were missing. Twelve studies (80%) described the statistical approach to analyze HRQoL data. The different statistical methods/analyses were: the mean change from baseline for 8 studies (60%), mean score at certain times for two studies (13.3%), linear mixed model for repeated measures (LMM) (one study, 6.7%), time to HRQoL score deterioration (TTD) (1 study, 6.7%), percentage of patient-reported symptoms (1, 6.7%). None of the studies identified the RP2D using HRQoL measurement (Table 2). To our knowledge, this is the first systematic review related to the use of HRQoL in phase I oncology trials. We demonstrated that few phase I studies used HRQoL as endpoint showing that HRQoL is not yet considered of major interest in phase I trials. Moreover, among studies with HRQoL as endpoint, none identified the RP2D according to the HRQoL results and the methodology of HRQoL measurement and statistical analysis was heterogeneous. The MTD is determined by DLT which is usually defined as any grade 3–4 non-haematological or grade 4 haematological toxicity occurring during the first cycle of treatment. Nevertheless, Paoletti et al., in an international survey implying 65 experts, showed that these experts are willing to consider some grade 2 toxicities as DLT and that the notion of evolution of the symptoms should be regarded as important while it is poorly assessed in current practice . These moderate toxicities are not taken into account in the usual definition of DLT based on the NCI-CTCAE assessed by clinicians at cycle 1. Therefore, the usual definition of DLT may not appropriately reflect the patient’s feelings regarding the tolerability of the treatment received. Some moderate grade 2 adverse events may have an impact on quality of life and in consequence on compliance of the treatment. Moreover, 50% of the grade 3/4 toxicities of molecular targeted therapies seem to occur after cycle 1. Postel-Vinay et al. presented data showing that, among a large number of patients participating in molecular targeted therapies phase I trials, response rate is not confined to patients treated at doses close to the MTD . Furthemore, Henon and all showed in a survey including 52 patients enrolled in 27 phase I trials that the patients’ most feared AEs are gastrointestinal toxicities, neurological toxicities and personality change, which differs from the physicians’ most feared toxicities . We also know that there may be discrepancies between patients and physicians reporting toxicities. In that context, HRQol and patient-reported outcomes may be an added value as a complement to the usual NCI-CTCAE scale to detect toxicities and define the RP2D. Nevertheless, this review shows that HRQoL has been poorly investigated in oncology phase I clinical trials. None of the studies included in our review used HRQoL as primary endpoint or identified the RP2D using HRQoL measurements. Three studies analyzed HRQoL according to the dose levels. In the Ringash et al. and Tsubata et al. studies there was no relationship between dose level and HRQoL while they observed increased toxicities according to the dose of treatment. In Anota et al. study, patients presented a longer TTD at the MTD (10 mg idarubicin) than at the lower level (5 mg idarubicin) for global health status, physical functioning, fatigue and pain dimensions. These results consolidate the selection of the RP2D. In the perspective of enabling patients to speak on themselves, without the filter of physicians, a patient-reported outcomes version of the common terminology criteria for adverse events (PRO-CTCAE) was developed by the National Cancer Institute . These PRO-CTCAEs could be a complement of the NCI-CTCAEs to define the DLT or we could use the PRO-CTCAEs scale rather than the NCI-CTCAEs scale to determine the RP2D in a more patient-oriented perspective. Nevertheless, some moderate adverse events which could have an impact on patients’ HRQoL over time might not be taken into account by the PRO-CTCAE. Further researches are mandatory and the first step could be to implement PRO-CTCAEs as secondary endpoint in order to compare the results obtained with the NCI-CTCAEs. 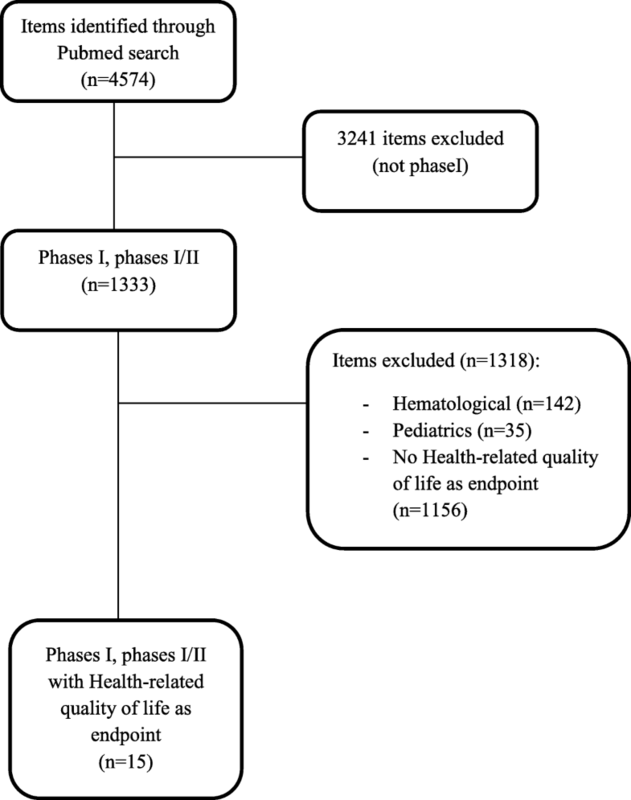 HRQoL questionnaires could bring an added value in phase I as a complement to results obtained on toxicity, as the study of Anota et al. to see if there’s no impact on HRQoL at the MTD compared to lower doses. A longitudinal analysis of HRQoL could be an alternative way to assess the impact of the MTD in a clinically meaningful way. The two main methods for longitudinal analysis of HRQOL data in oncology are to be considered: the linear mixed model for repeated measures or the time to HRQoL score deterioration . Nevertheless, no guidelines exist for the MCID definition and the longitudinal analysis of HRQoL. The optimal definition of MCID should be explored according to cancer localization, treatment, and setting with and evidence-based approach and guidelines. Ongoing SISAQOL and qRECIST phase III projects, supported by the EORTC, are warranted for longitudinal HRQOL . Once these guidelines for phase III trials will be published, methodological researches will be mandatory to analyze their potential implementation in phase I trials. The main limitation of our study is the short number of studies with HRQoL as endpoints. None of them identified the RP2D with HRQoL as endpoint. Therefore, we are unable to provide any example of a drug that is used in the daily life and which dose has been determined by HRQoL or PROs in phase I. Moreover, the side-effects of the drugs are frequently not known as many drugs assessed in phase I are first-in-human and can be first-in-kind. Therefore, the choice of a HRQoL instruments can be difficult in this context. HRQoL could be an added value for the assessment of the RP2D and further methodological research is necessary to implement HRQoL in oncology phase I trials. FF: conception/design, collection, data analysis and interpretation, manuscript writing, final approval manuscript. IR: Conception/Design, Manuscript writing, final approval manuscript. AO: collection, data analysis and interpretation, manuscript writing, final approval manuscript. NI: Conception/Design, Manuscript writing, final approval manuscript. AA: Conception/Design, Manuscript writing, final approval manuscript. FB: Conception/Design, Manuscript writing, final approval manuscript. All authors have read and approved the manuscript.